Applications are available here and are due by June 12, 2015. Booths 10 X 10 and cost $50. This fee includes table and two chairs. Applications are available here (along with vendor info) and are due by May 15th 2015. For more information, contact their event coordinator at legacyhealthfair@gmail.com / 469-206-2220. "28th year of this 3 day event in the heart of Highland Village, TX. A multi city area in So Denton County that draws crowds of 10,000-15,000 over the week end. AUG 14-16, 2015 at Unity Park, 2200 Briarhill Blvd, Highland Village, TX. Events include arts & crafts, entertainment, food, 5K on Sat morn, classic car show Sat, wiener dog race on Sun, kid zone all week end, tethered balloon rides, AND hot air balloons morn & evenings." Booths are 10x10 electricity provided begins at $175. Larger spaces available. Pop ups required. Free electricity all 3 days. To apply, please contact Ken Ashmore 972-317-9073 / dk.ashmore@gmail.com by Aug 1, 2015 (or until spaces are filled). For more information, visit their website or contact their event coordinator at dk.ashmore@gmail.com / Ken at 972-317-9073. "ILTexas Spring Craft Fair on April 25th from 8am to 2pm. 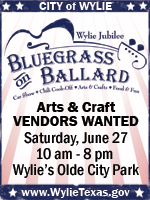 We will have unique vendors with products and services and concessions so come, browse and buy that special item! Don’t miss this festive event!" Applications are available here and are due by April 24, 2015. Booth includes (1) 6ft or 8ft table and electricity if requested for $30. For more information, contact their event coordinator at iltamspto@yahoo.com / Norma 817-501-3510. "Fun for the Whole Family! Arts/Crafts, Health/Business Expo, Carnival, Quilt Show, 5K Run, Car/Motorcycle Show, Pig Races, White Tigers, Live Entertainment, Ranch Rodeo and much more..."
"We invite you to help support the 4th Annual Rockwall Duck Regatta event September 25-26, 2015 at The Harbor. The Rockwall Rubber Duck Regatta is a fun, family-friendly event guaranteed to be a quackin’ good time! 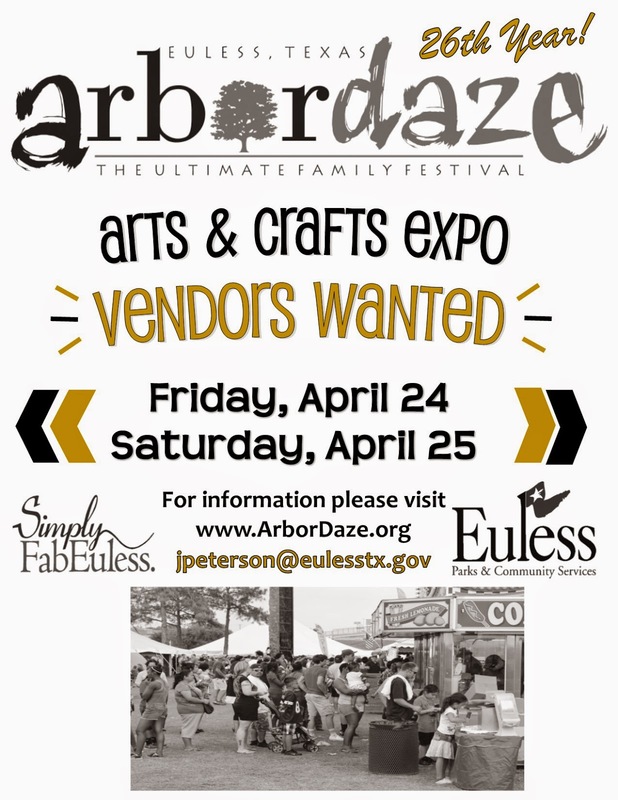 There will be entertainment for all ages, including 5k run and 1 k walk, vendors, arts & crafts, food, kids zone, duck beauty pageant, fireworks, live concert, and, of course, rubber duck races including a new glow in the dark race! All proceeds will go to support the Boys & Girls Club of Rockwall County and Meals on Wheels of Rockwall County. Committed to the youth, disabled, and elderly in our community, these two worthy organizations need your help to make a difference in the lives of our community’s most vulnerable members. So “take the plunge”!" This fee includes access to power for some booths. Applications are available here and are due by September 20, 2015. For more information, visit their website or contact their event coordinator at info@rockwallduckrace.org. Booths are 10 X 10, outside, for $40. Need your own chairs and tables. 1 Raffle item of $25 value. Must have a canopy - we have some to lend. This fee includes electricity. Applications are available here and are due by April 20, 2015 ASAP. Your registration fee will include coupons to cover 1-2 drinks. Applications are available here and are due by May 08, 2015. For more information, visit their website or contact their event coordinator at braypta@gmail.com / Laura Beil (972)291-4231 / gsergeew@gmail.com. "Come one, come all to a fun filled Family Event in S. Arlington. We will have a FacePainter, Bounce Houses, Petting Zoo, Games, Food, and a Craft Show. This is a great way to get a head start on Mother's Day, Teacher Appreciation, and/ or College Graduation gifts while the Kids have fun!" Booths are 8 X 8, indoor, and cost $40. Food Trucks: $40 plus 15% of sales. Vendors must provide their own table,chairs, and displays for this event. To apply, contact kdavispta@yahoo.com by April 10, 2015. For more information, contact their event coordinator at kdavispta@yahoo.com. Booths are 7 X 6 for $25. This fee includes a 6' x 3' table and 2 folding chairs. Electricity provided on a first come, first serve basis. Second tables are on a waitlist only and will also be first come, first serve. For more information, visit their website or contact their event coordinator at ebac@unthsc.edu.